Are you shopping for a 6-year-old boy, but not sure where to start or what to look for? Because kids this age may be going through a transitional phase, choosing a toy for them isn’t an easy task. But we’ve got you covered. At 6 years old, boys are still linked to their early childhood. Slowly stepping toward their “tween” years, this can be a challenging time for our little ones. Luckily, uninhibited playtime can help in this transition. After discussing the main developmental milestones of a 6-year-old child, we’ll review my selection of the best toys for 6-year-old boys. Use the links above to check the latest prices or read our in-depth 6 year old toy reviews below. Every child matures at his or her own pace. While they shouldn’t be constantly compared to other kids of the same age, I’ve outlined general guidelines when it comes to the milestones of this age (source). Gross motor: By the time your little one reaches his 6th birthday, his body has greatly evolved. Kids will need to burn the extra energy and some might start showing athletic abilities, such as throwing or running. Fine motor: Skills that have been acquired will be fined tuned with activities such as drawing or writing. Emotional: A 6-year-old boy should be aware of his actions and their impact on others’ feelings and emotions. Social: They’re becoming more independent and may insist on choosing their own clothes. As they’re becoming aware of their social environment, they understand teamwork and friendships are being built. 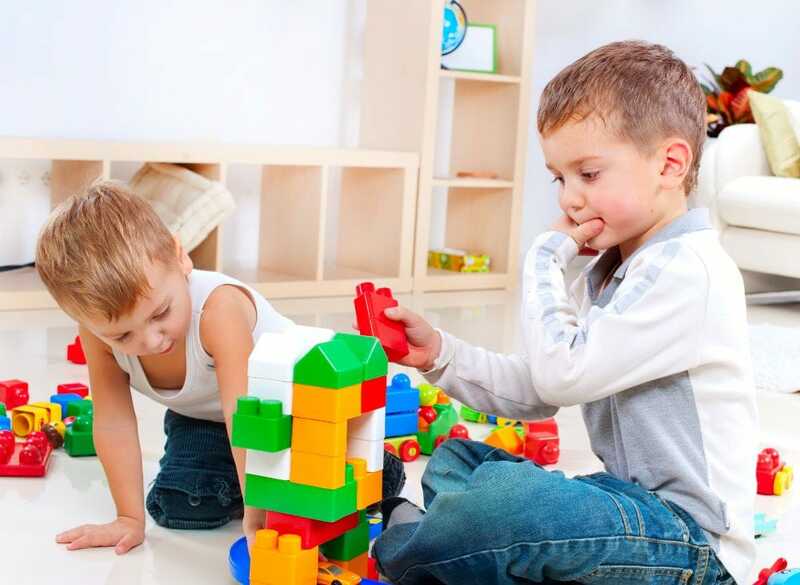 Cognitive: Kids should be able to handle more complicated games and toys, and their focus increases to about 15 minutes. Many 6-year-olds should be able to count up to 10 items placed in front of them and understand the difference between “abstract” and “concrete” (source). Language: Grammar improves when speaking, vocabulary expands, and they might be able to “sound out” unfamiliar words. Considered as important bonding time, parents shouldn’t give up on bedtime reading for at least a few more years. Curiosity: A 6-year-old boy’s curiosity expands exponentially, and selecting toys that will feed this is important. Whether through a STEM toy, robotic toy, or coding toy, your child’s inquisitive nature should be encouraged. Energy: He will need to spend time outdoors to release some of that pent-up energy and instill the importance of exercise. Sports centers or other physical games might be a good way to do this. Precision: While he’s still working on his fine-motor abilities,toys that require hands-on precision are great. Lego toys or painting can provide additional support and teach patience. Teamwork: Team-based activities will strengthen his social skills. Pool games, board games, or other group endeavors are a great opportunity for this. We now understand the milestones that 6-year-old boys are going through or trying to reach. Here’s our selection of the 17 best toys to help your 6-year-old boy mature and develop. 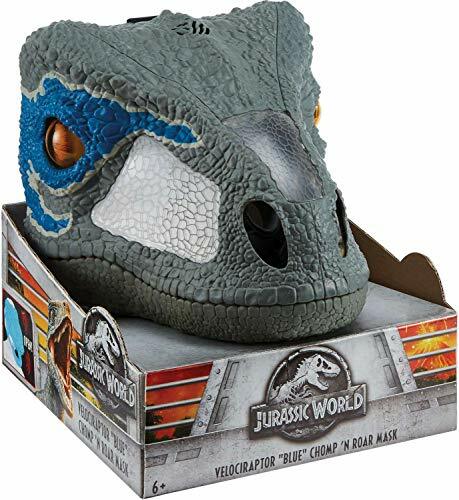 This realistic Jurassic Park mask will be a big hit with most 6-year-old boys. With eyes following their prey, and real skin texture and colors, you’ll be hearing a lot of roaring around the house. The three jaw openings each produce different sounds to make the experience more authentic. The mask can be securely attached using straps. The mask also features eyes to better spot the targeted prey, and nostril holes for easy breathing. To complete the package, the Velociraptor claws can be purchased separately. This Lego toy contains two characters from the “Lego Movie 2: The Second Part,” bringing the movie back home. Metalbeard’s octopus-like machine legs can also serve as weapons. The treasure chest opens to reveal a bone and a sausage. A movable crow’s nest with a flag can hold an extra pirate — not included — if Metalbeard needs to team up. Batman, on the other side, is sitting on a throne with his adjustable “You’re Welcome” sign. 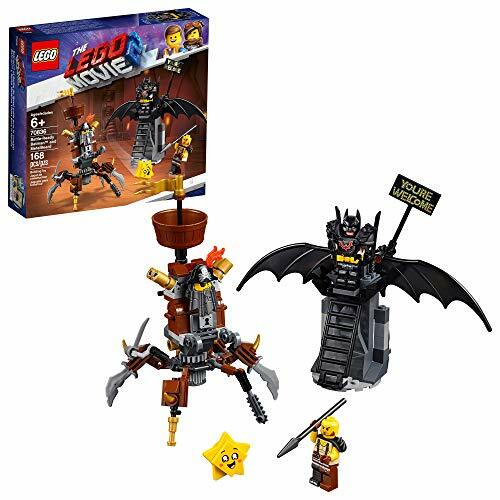 Your child should have plenty of fun role-playing with this Lego set. 168 pieces are included. It’s battle time. This aerodynamic high-end car can speed up to 10 miles per hour. Directions — forward, backward or sideways — are controlled through a responsive remote control. Sturdy in design, the body is made of non-toxic plastic to withstand scratches and accidents. Round edges should also prevent your child from any injuries. Headlights turn on when racing forward in the dark. Batteries are not included but a screwdriver is, for ease of assembly. This car can be used on smooth surfaces, inside or outdoors. While convincing young boys to bathe is not always an easy task, having plenty of toys to occupy them can be helpful. This bath toy is composed of a floating open cargo boat with rounded edges, and two cars: red and yellow. Cars can slide out of the boat thanks to the side ramp. Made in the United States, this bath toy doesn’t contain BPA, PVC, or phthalates. It’s also made entirely of recycled plastic milk jugs. 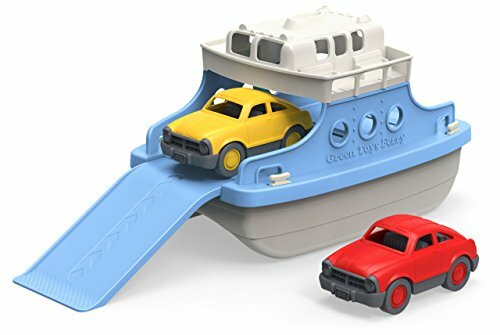 If the cars and boat need a quick wash, this toy set can be placed in your dishwasher. It’s marketed specifically for bathtime but we have a feeling it could get some use around the pool or at the local park’s splash pad, too. This 307-piece set includes 24 mini Star Wars figures and can serve several purposes. Intended for use as an Advent calendar, a Lego figure can be gifted each of the 24 days preceding Christmas day. I also see these mini-figures as a great option for party favors. Or even a reward system where your child never knows which figure he’ll get next. The figures themselves are not Christmas-themed, so could be appropriate year-round. 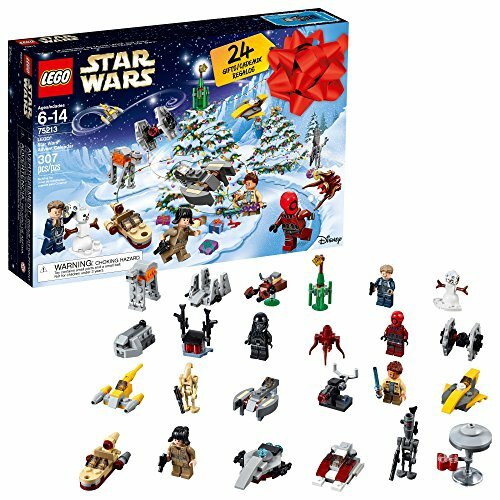 This set includes characters, vessels, weapons, and robots. It’s also compatible with other Lego sets to expand the fun. 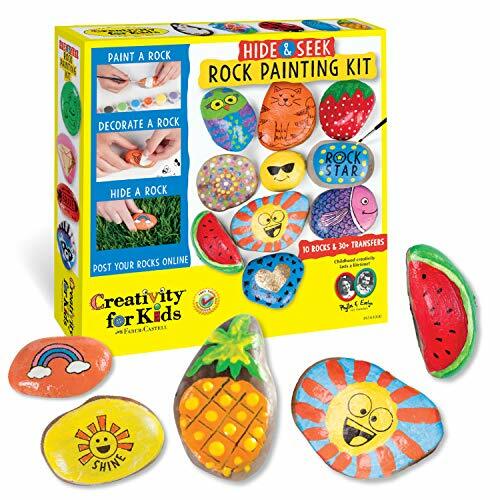 This rock painting activity is great for creative kids and will spark anyone’s interest in art. Used solo or with a playdate, this kit should enhance your little one’s creativity and imagination, while also encouraging fine-motor development. With a total of 10 rocks, all accessories are included to bring the rock to life. It includes transfer designs (think: temporary tattoos) as well as eight waterproof and non-toxic colors, making the finished art pieces suitable for outdoor living. Instructions come with the kit, in case you need some assistance or inspiration. This super cool roller coaster game teaches math, technology, science, and engineering all together. With 40 different tracks available, the roller-coaster construction progressively becomes more challenging. Each construction possibility comes with an instruction card to assist your child in the process. When the ride is successfully built, the car should smoothly glide to its final destination. 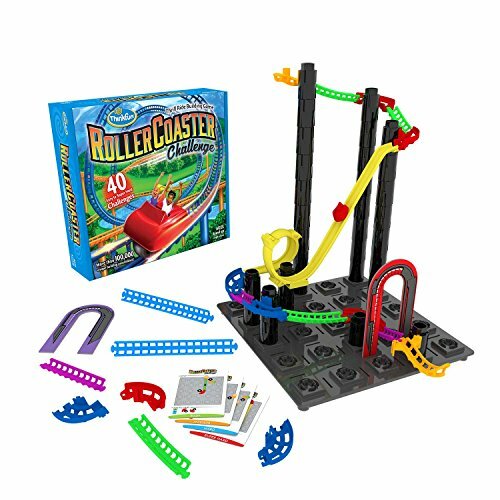 Multi-award winning and made with high-quality materials, this roller coaster game will help your 6-year-old develop his problem-solving skills. 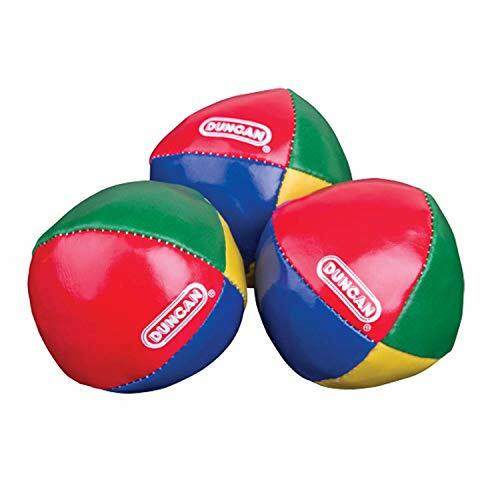 These three simple juggling balls might be a bit more educational than they seem. Teaching your child coordination but also patience and precision, they can make a great solo or team game — especially if you own two sets. To learn how to juggle properly, this package comes with a CD-ROM for instructional purposes. Made for rugged use, the balls should withstand thousands of drops. Just watch out for glasses and breakable items around the house! This programmable robot can produce 50 different actions. 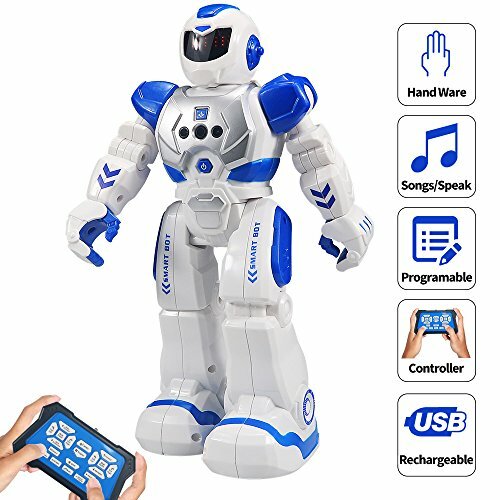 Six different modes are included, such as demonstration mode, music mode, or “robot language” mode. This robot can slide or walk, moving forward, backward or sideways. It’s controllable by either hand gestures, or with an infrared remote control, which is included. The smart remote is also programmable. If design and colors are important — they usually are at this age — this robot comes in two versions: blue and white, or yellow and black. After two to three hours of playtime — in full power — it can be recharged using the included USB cable. A manual is included, so don’t let this robot intimidate you. Exciting outdoor toys can create conflict when two kids want to play but only one set is available. This shouldn’t be an issue here. 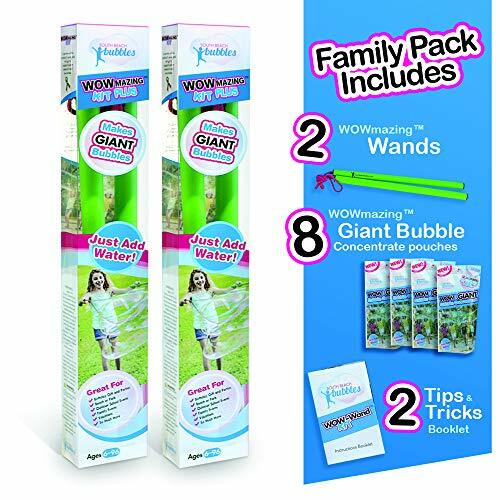 Including two wands and two “tips and tricks” booklets, both can compete at the same time. Simply add a quart of water to the bubble concentrate liquid and you’re ready to go. Each pouch should be able to produce hundreds of giant bubbles. This kit comes with eight pouches so it should keep them occupied for a while. The two-handle design on the wand allows the creation of extra large bubbles. In the garden, at a park, or at the beach, this toy should be fun for everyone. 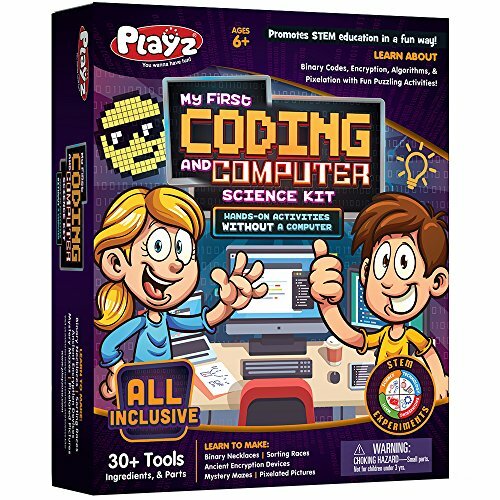 Looking to introduce your 6-year-old to the subjects of coding and computer science, but without the use of an actual computer? This kit might be what you’re looking for and your home might soon turn into an experimental lab. It includes 30 pieces, from a binary necklace, mazes, pixelated photos, to devices for ancient encryption, and more. Each activity is simple enough, with clear instructions, to keep your child engaged and interested. We appreciate the creativity this kit offers but without the need for a digital screen. Does your child spend more time underwater than swimming on the surface? These diving toys might make the ideal underwater parent-child competition game. If playing with friends, parental supervision is essential. 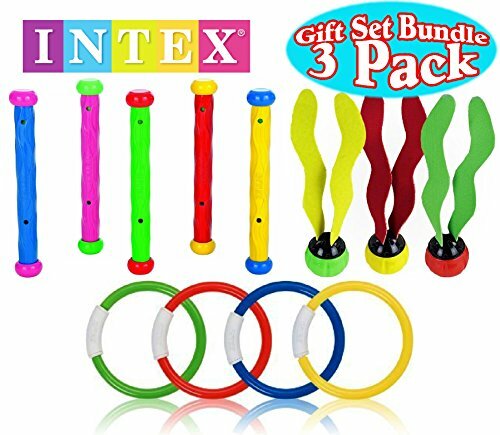 Made of flexible, soft material, the set contains four rings, five diving sticks, and three dive balls. Once sunk to the bottom of the pool, who’ll get to them the fastest? For non-swimming divers, they can be used for scooping up in the shallow end to help develop confidence, and used in the deep end by those with more experience. Is your child asking for his first train set? Or wanting you to upgrade his toddler version? 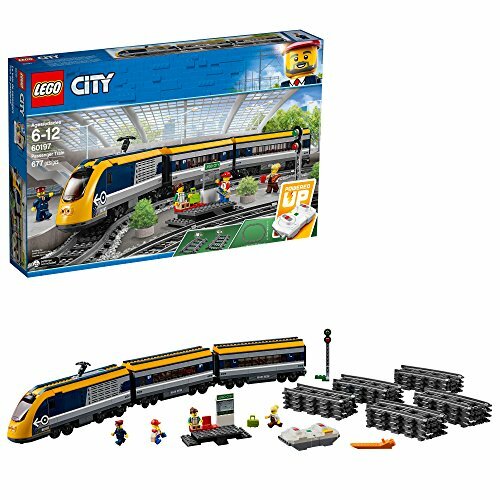 This Lego train set should take the challenge up a notch. Totaling 677 pieces, your boy will need his logic and problem-solving skills fully turned on to complete this detailed mission. His main goal is to construct a train with a motorized engine. A Bluetooth remote control with 10 speeds, along with a train conductor and a train attendant, controls the train speed once it’s built. Two passengers can either wait at the train station, sit in the comfortable wagons, or have lunch in the cafe, with accessories included. The removable wagon roofs should encourage roleplay and enhance imagination and creativity. This might be the coolest Lego set we’ve come across so far. When I first saw these two figures, I thought they’d be fixed superhero figures that my child might be distracted with for a short amount of time. But they’re much more than that — they can actually handle real battles and are great fun on playdates. 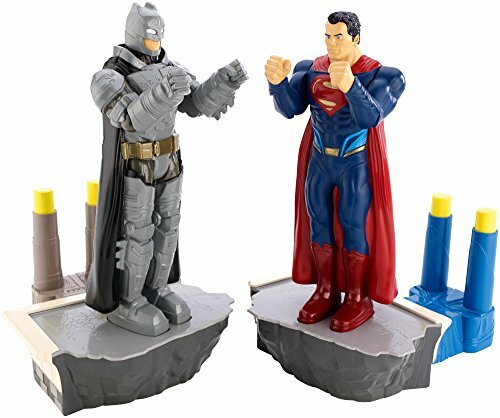 Inspired by the movie “Dawn of Justice,” they each fit in their own base, and boxing gets underway in the control of your child’s thumbs on the action mechanism. When hit in strategic places, the hero figure falls, and the battle is won. Batman versus Superman, who will win? 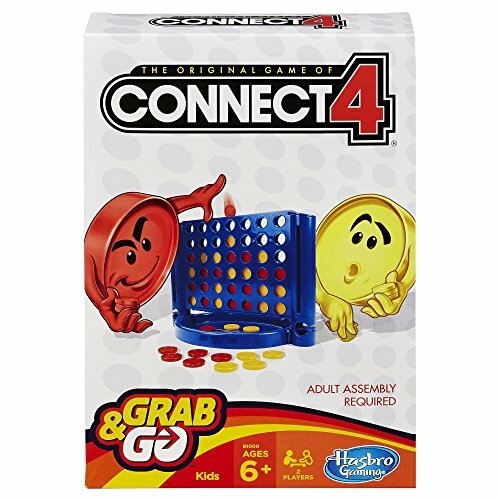 “Connect 4” is a classic game that many adults have fond memories of. Standing the test of time, this toy is still loved by the children among us. Compact in size, this travel version can be used on the road. The concept of the game is simple and should soon get any new player quickly involved. With the right tactics, victory will be just around the corner. When the game is over, the grid folds in half for easy storage. Included in this set is the grid along with 42 checkers, in red and yellow. 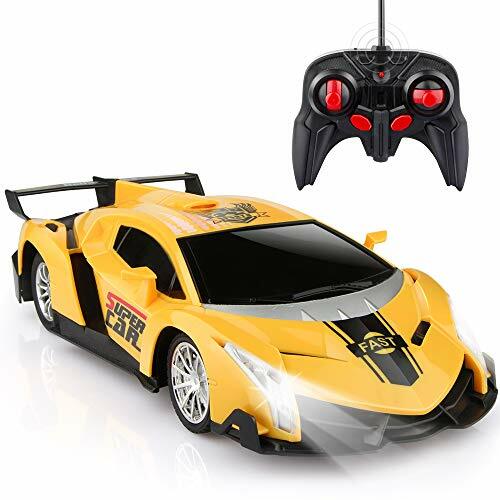 This might be the ideal gift for a 6-year-old boy who’s into the “Transformer” movies. 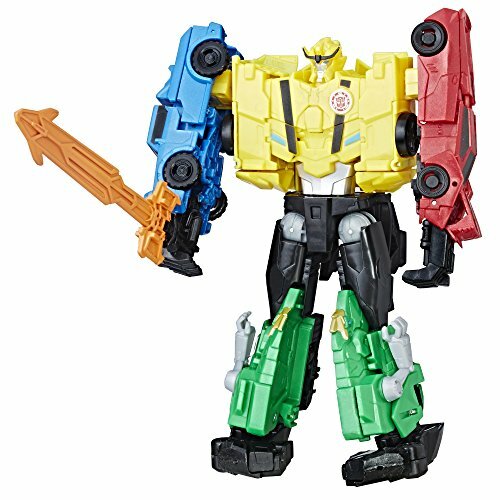 It offers multiple possibilities as it contains four different figures: Grimlock, Sideswipe, Bumblebee, and Strongarm. The figures convert individually, using a maximum of eight steps. Autobot team members come together in one click to form a super robot, “Ultra Bee,” with his sword for defense — or attack. We foresee some rough play coming your way, it’s what little boys are known for. Instructions included. Do you notice a strong musical interest in your 6-year-old boy? This toy might make him one of the next generation of musical composers. 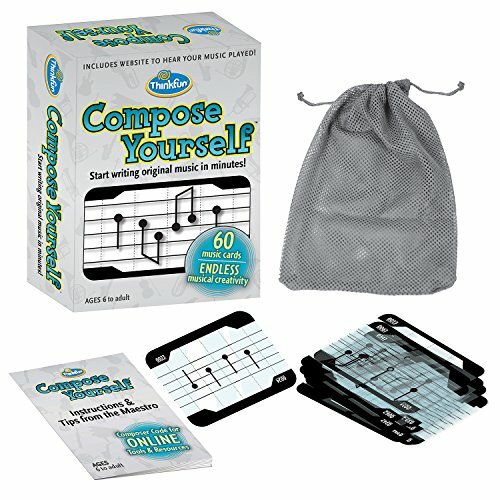 It includes 60 transparent cards that combine in limitless ways to create melodies. The cards contain a code which can then be used to make the music come to life. On the website provided by the company, enter the code and the notes will appear. Download MP3s or create sheet music to then be used on a real-life instrument. The options are full of potential. A travel bag is included, so no worries about the cards becoming worn too soon. Being aware of your child’s developmental milestones will help you keep gauge, communicate better and have some awareness around his behavior changes. It should also assist you in selecting the best toy for your 6-year-old boy. Personally, I love the Jurassic World Mask. It might not be as educational as other toys, but it’ll certainly encourage some physical exercise in your boy. Chasing his prey, this toy might also create a stronger bond with his siblings. What is your 6-year-old boy’s favorite toy? What is his main center of interest? Please leave us your comments in the section below, we’d love to read them.